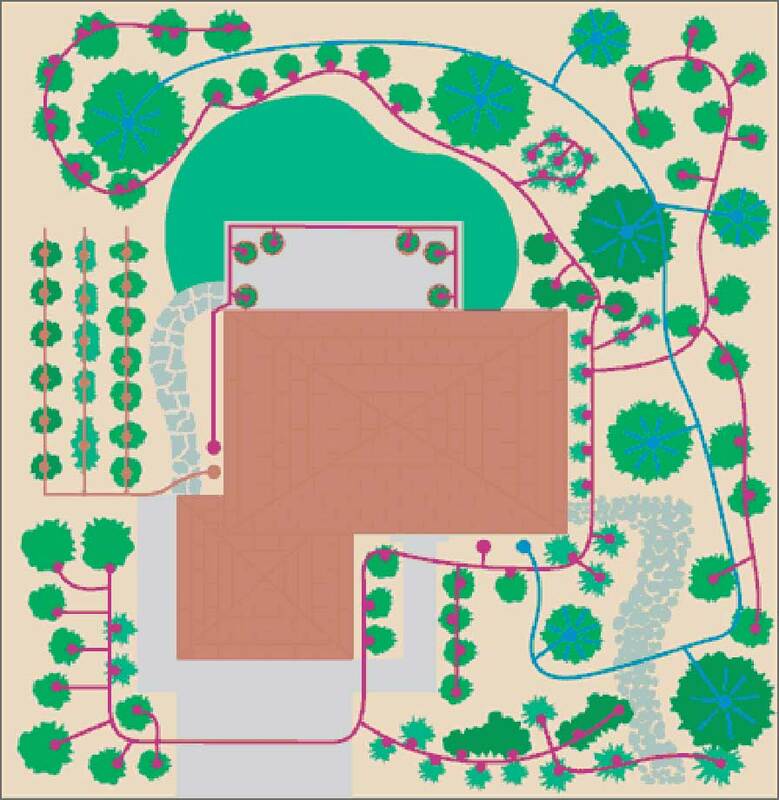 Start by with a sketch of the areas that you want to Installation a Drip Irrigation System. Make sure you note the locations of trees, shrubs, vegetables and ground cover. List your plants by categories: ground cover, shrub and trees. Based on the plant sizes, category and concentration, you will need to determine the necessary dripper flow rates and the micro sprinklers coverage. What type of soil do you have? There are various types of soil with differing characteristic, which determine what types of plants can be grown. To determine which type of soil you have in a given area, take a handful of dry soil, grip tightly and release. 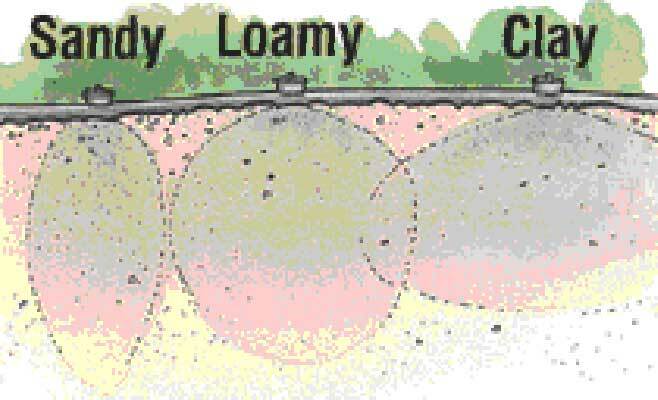 Sandy (coarse) soil will crumble and fall apart Loam (medium)will hold together but easily break apart Clay will mold without breaking The soil is a storage room of the plants nutrients, and the medium, through which water and nutrients move. 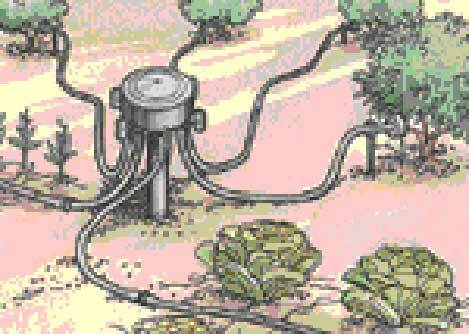 It is the anchor for plants and the reservoir of water for plants’ growth. Understanding your soil type is important because each type of soil will require a different sprinkler layout. In sandy soil, the water will tend to go straight down, we recommend using micro sprinklers closely spaced, 12″ apart, using 1 gph or 2 gph drippers. In loamy soil, the water will move slowly and will spread evenly, here we recommend you use 0.5 gph or 1 gph drippers with a 16″ to 18″ spacing. In clay soil, the water will be absorbed very slowly, and we recommend a low flow such as 0.5 or 1 gph drippers at a wider spacing, 18″ to 24″ apart. Micro sprinklers are best used on ground cover, flower beds, groups of plants, hillsides and on very sandy soils as water will percolate downward before it can spread far enough horizontally. Avoid micro sprinklers in areas where it is windy; high winds will disturb the micro sprinkler spray pattern. Drip Soaker Tape is ideal for vegetable beds and planters and narrow planting areas. Laser drilled soaker hose is ideal for narrow planters and pots. When designing your system, you have various options with your layout: you can select, button drippers, Multi outlet drip heads, laser drilled soaker hose, drip soaker line or micro sprinklers. Button drippers and multi-outlet drip heads are ideal for virtually all shrubs, trees or ground covers and the are most efficient when plants are not concentrated. 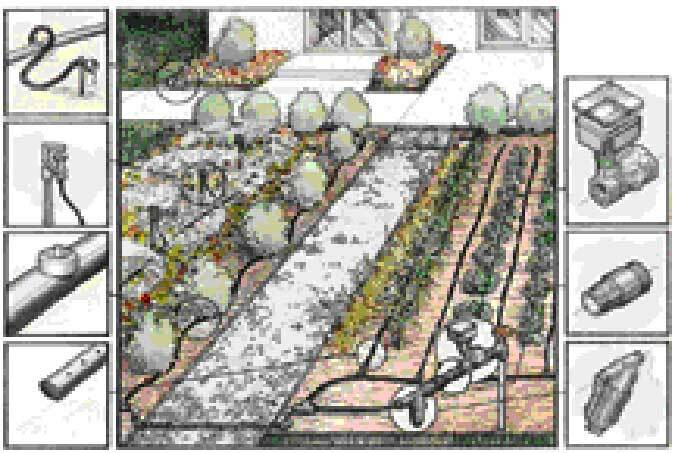 To cover areas such as a vegetable garden, use drip soaker line. 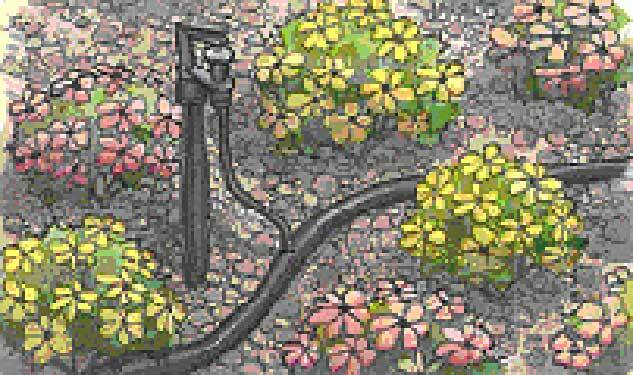 For flower beds or densely planted ground cover, use micro sprinklers or micro sprayers. Misters are most appropriate for hanging plants or any plant that benefits from moist foliage. 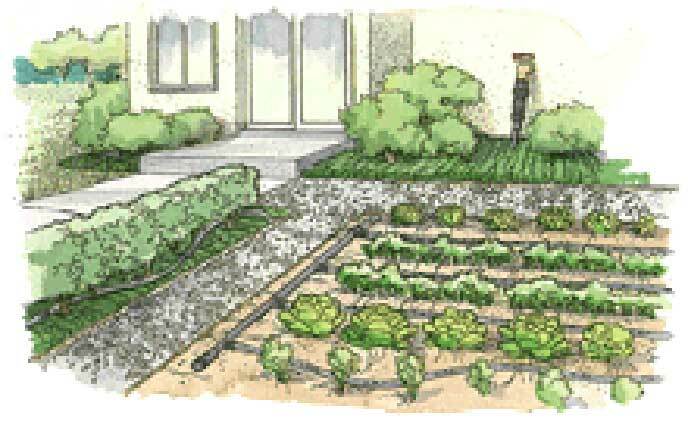 These drawings illustrate some ways you may want to lay out a drip system in a landscape area or vegetable garden. Installation of low-volume irrigation is a fairly simple process. Begin by comparing the plan to your site and make all the necessary changes to your plan to reflect actual site conditions. Begin installation and assembly at your water source, adding a backflow preventer if required to meet local codes. If your drip system has more than one zone, then adding a filter, pressure regulator and 3/4″ swivel adapter to your drip line is required for each zone. If you decide to automate your system, your control valve becomes the first component in your assembly. For the easiest operation, use a battery operated controller. For your automatic valve assembly use an AC powered controller. Always start with a filter and a pressure regulator. Run your 1/2″ poly tubing near the plants. Try to stay with a single dripper flow rate. 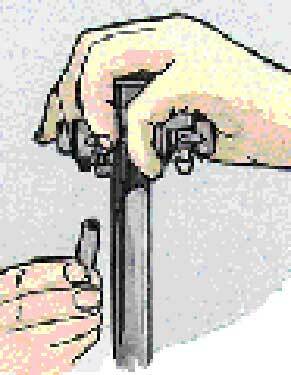 Place the drippers directly into a 1/2″ poly tubing when possible. Begin with one dripper for small plants up to 3′ high and increase the number of drippers as your plants get larger. If you plant on a slope, moisture in the soil will percolate downhill, resulting in more water at the bottom of the slope. Place the drippers uphill from the plants so the wetting pattern remains within the root zone. Keep the distance between drippers around the plant even, and keep the minimum spacing between drippers to 12″. If you use 1/4″ micro tubes to extend from a 1/2″ poly tube, keep micro tube runs short and insert drippers to the end of micro tube. (Think about maintenance.) Run your system between 45 minutes and 2 hours, 2-3 times a week, depending on the weather. When you select a micro sprinkler, always start with a filter and a pressure regulator. Run your 1/2″ drip line at the center. Select the micro sprinkler with the diameter for the area that you would like to cover, stick with a single flow rate if you can. Install your micro sprinkler with spike at least 6″ above the ground. Keep the distance between micro sprinkler to the spacing recommendation. Lay out the poly tube using fittings as needed. Don’t pull poly tubing too tight; allow for expansion and contraction due to changing weather conditions. Attach the drippers to 1/2″ poly tube, if the poly tube is buried, raise the drippers above the ground using 1/4″ micro tube. Allow for different size plants to have more water by adding more drippers. You need at least 60% of the root zone to be wet. Flush the line and operate the system, checking for correct operation of all drippers on the line. You can use mulch to cover the system components and conserve water. For patios, your system may run entirely from 1/4″ micro tube by using a combination of drippers for small containers and pots up to 5 gallons. To extend micro tube from pot to pot, use a 1/4″ tee for each dripper with a small link of micro tube to the plants. 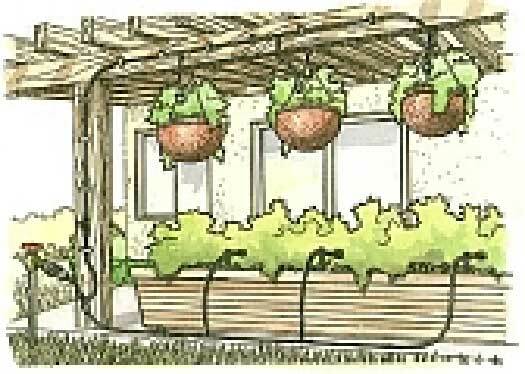 You can let the drippers hang above the plants or you can secure them with stakes in the pots. Use a mister for larger planter boxes with the same method that you used with the drippers. Hang the mister/fogger 6″ to 8″ above the plant. Do not exceed 35 gph on any single 1/4″ line. 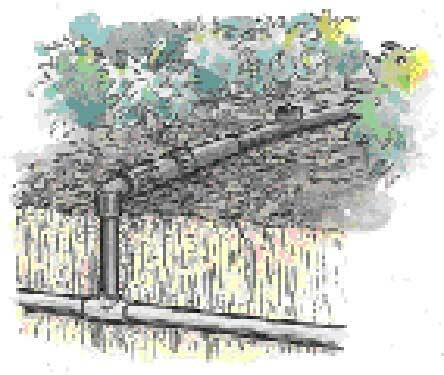 Drip soaker line can be installed easily either above or below the ground. It is designed mainly for use in vegetable gardens. 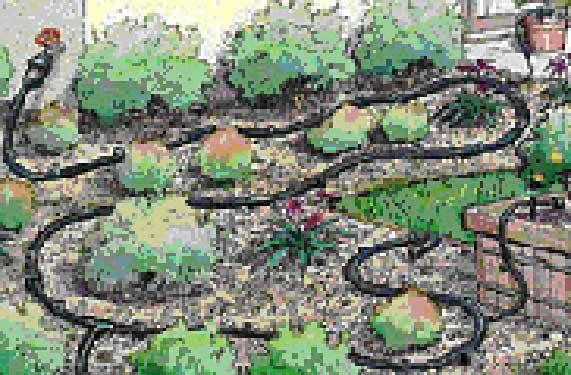 We recommend using 1/2″ poly tubing as a main line, running perpendicular to the garden rows. Connect the drip soaker line to the reducer. Punch a hole in the 1/2″ line at the connection point of each row, and insert the barbed end of a reducer. 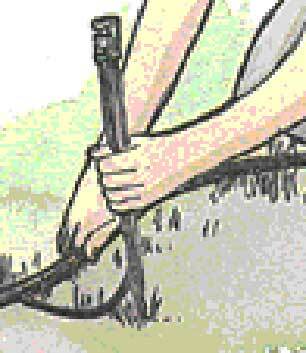 After running the line down the row, use an end line to close the end of the line. 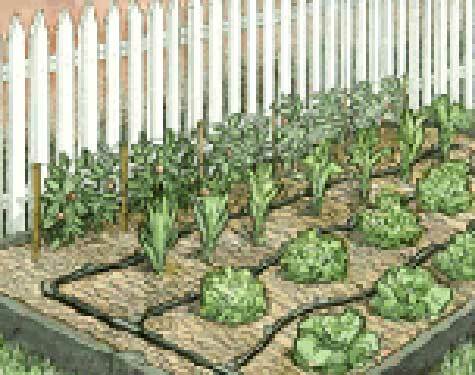 For vegetable rows more than 2′ apart, use one line of drip tape per row. If your rows are less than 2′ apart, place the drip tape between every two rows. We highly recommend the use of a 25 psi pressure regulator with your system. Micro sprinklers and foggers may be inserted into 1/2″ poly tubing by the same method as that used for installing drippers. They offer a wide variety of coverages ranging from as small as 5′ to large diameters up to 45′. They come mounted on spikes, threaded barbs, or pop-ups. Accessories, such as ray spike and poly riser are available for different installation options using micro sprinklers or sprayers on threaded barbs. We recommend installing micro sprinklers and micro sprayers a minimum of 6″ above the surface for the best coverage. Maverick 12 Zone Drip Systems convert an existing sprinkler riser into a 12 zone drip system without disturbing the other sprinkler heads along the line. The Maverick is designed to operate with either 1/4″ or 1/8″ micro tube, and has the option of closing off any zones that you do not choose to use. We offer Maverick Heads in a choice of three different flow rates. If you are combining Mavericks into an existing sprinkler line, use the Hi-Flow 4 gallon per hour model. If you are replacing all of the sprinkler heads in a line, use the 1 or 2 gallon per hour models. We recommend flushing your line after installation. 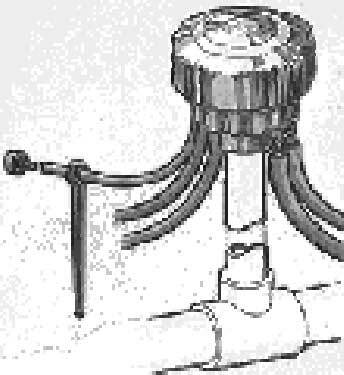 Six outlet adjustable drip heads may be installed directly to 1/2″ sprinkler risers. Adjustable drip head has six outlets. Each outlet is adjustable between 1 and 20 gph, and can be used with micro tubing, 1/4″ laser drilled soaker hose and any combination of drippers. The four outlet is preset at 6 gph per zone. It allows you to use any combination of laser drilled soaker hose and drippers of various flow rates, or you can allow free flow from any outlet using micro tubes. We recommend flushing your line after installation. 1/4″ Laser drilled soaker hose is recommended for narrow planted areas, planters and boxes. It can be connected and fed from 1/2″ poly tube or from 1/4″ micro tube using a 1/4″ barb or tee. Each line of laser drilled soaker hose may be a maximum of 30′ long; for good coverage use one line per foot width. For example if you have 1′ x 5′ container box, use 1 line of laser drilled soaker hose in the middle. if you have 2′ x 5′ container box use 2 lines of laser drilled soaker hose in the center. To install a drip system starting from a 1/2″ sprinkler riser use a conversion elbow, pressure regulator and 3/4″ adaptor to 1/2″ drip line. Make sure that you space the drippers a minimum 12′ apart.